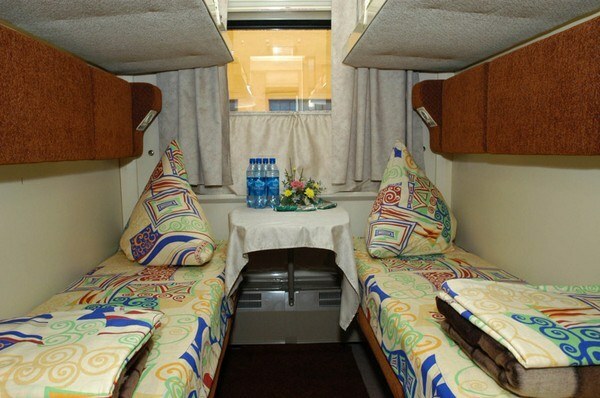 Rail transport is one of the most accessible and convenient in Russia. To trip the train was comfortable and not boring, you need to think in advance on what to bring. You must take care of sufficient food and water, to figure out how to spend time and that you need to take, not to forget the hygiene products and other necessary things. Typically, the train ride lasts at least five or six hours, and often for several days. In any case, you need to bring enough food. To buy the products during stops at different stations uncomfortable, prices in kiosks and shops at stations usually overstated, and in trains the selection of food is small – chocolate bars, chips, crackers and other fast food. To train you need to take such foods that long does not deteriorate, does not require special storage conditions, does not stain hands, well fills. It is a variety of fruits – apples, bananas, pears, and vegetables like cucumber, bell pepper, bread and crispbreads, nuts, dried fruits, cookies or chocolate. If you take perishable foods – kefir, yogurt, sausage, sausage, then you need to eat them in the first hours of being in the train. Boiled eggs can be stored up to ten hours at room temperature, boiled or fried meat no more than six hours. You can buy cereals or soups in sachets, which is filled with boiling water. And that food on the train was healthy and hearty, you can make your own bars of nuts, dried fruits and vegetables is a hearty and delicious snack that you can use instead of sweets for tea. It is not recommended to take the train strong-smelling foods, dairy products, salads, mayonnaise. All fruits and vegetables must be washed thoroughly and dried, the products Packed in plastic containers and packages. Bring napkins and disposable dishes, the better it is. Don't forget water or other drinks – juice, mineral water, juice. Buy tea or coffee bags. In addition to the products, it is very important not to forget personal care products – take soap, toothbrush and paste, toilet paper, wet wipes. Some cosmetic products must be in the toilets, but this rule is not always observed. If you have ordered linen, a set will include a hand towel, otherwise don't forget to bring a towel. If the trip will take much time and will have to sleep on the train, it is advisable to bring comfortable shoes that can be quickly removed and worn, such as rubber flip flops. On the road, frequent health problems, don't forget individual first aid kit, which should contain bandages, antiseptic, cotton wool, headache tablets for the stomach and medicines that you use often. Bring a book, magazines, Newspapers, tablet, player, or any other means of entertainment. If you are traveling with friends or family, you can grab a Board game or cards.